The Plains Indian Museum educates and advances knowledge about living American Indian cultures, their histories, art, spirituality, and traditions for current and future generations. To achieve this goal, the Plains Indian Museum diligently seeks to acquire, preserve, conserve, exhibit, and interpret cultural materials from the prehistoric past to the present. It is the museum’s belief that the past is best used when it serves the present and future. The Plains Indian Museum collection is remarkable, comprised of culturally significant and often spectacularly beautiful examples of Plains Indian artistry dating from the middle of the nineteenth century to the present. 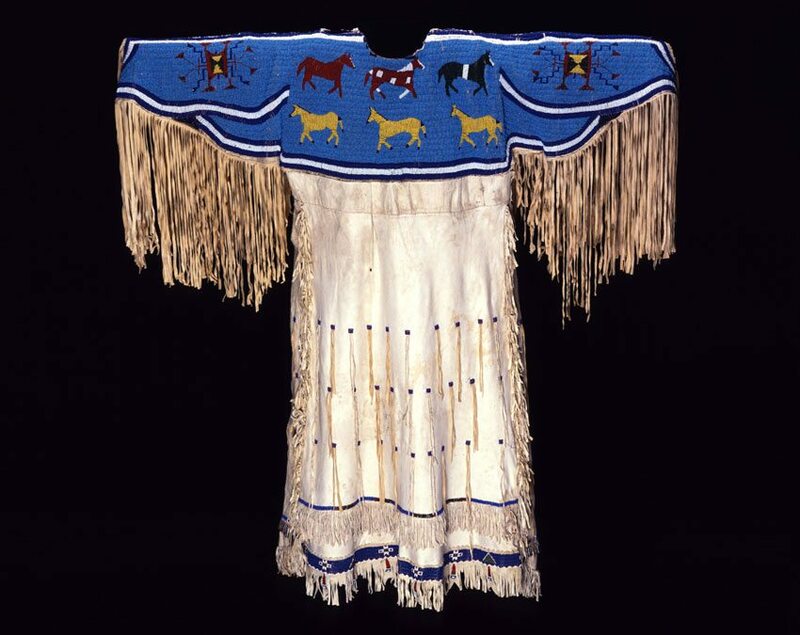 Unlike the ethnographic assemblages of large North American and European natural history museums of the late eighteenth and early nineteenth centuries, the Plains Indian Museum’s collection originated with the Northern Plains clothing and accouterments of Native American performers in Buffalo Bill’s Wild West shows that toured from 1883 to 1913. Over the years, it has developed through the acquisitions of major private collections and, more recently, works representing the creative output of contemporary Plains Native artists. Taken as a whole, the collection manifests the artistic abilities and vibrant creativity of Native people of the Great Plains over almost two hundred years. Beyond their exceptional artistic excellence, works of the collection also are powerful expressions of the cultures, values, historical experiences, and contemporary lives of the people who created them. During the period represented by the collection, Plains Native people adapted to the Plains environment and created diverse cultural traditions, thrived as free buffalo hunters of the region, and, finally, struggled with and eventually survived the difficult reservation experiences of the late 1800s and early 1900s to build new lives for their families. Memory—both collective and individual—and vision have played powerful roles throughout these experiences, assisting people in maintaining cultural identities, in understanding the spiritual underpinnings of tribal traditions, and in shaping the future. Among Plains Indian and other Native people, art, memory, and vision are essentially interwoven, each reinforcing and providing the foundation for the other.